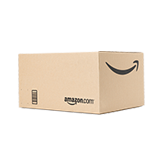 Add-on items are available for purchase with over $25 of items shipped by Amazon to the same address, excluding gift cards. The Add-on program allows Amazon to offer thousands of low-priced items that would be cost-prohibitive to ship on their own. Look for the Add-on Item logo while shopping on Amazon.com. Note: If your cart contains a mix of Add-on items and other items with a total value of less than $25, you can check out with the other items, but your Add-on items will automatically be saved for later and added to your next qualifying order that contains $25 of items shipped by Amazon to the same address. If your cart consists entirely of Add-on items with a total value of less than $25, you will not be presented with a 'Proceed to check-out' option but will have the option to 'Continue shopping'. Add-on Items are eligible for Free Shipping in qualifying orders. See About Free Shipping by Amazon for more information. 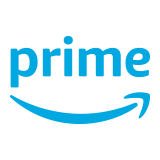 Prime Members: When you include Add-on items with over $25 of Prime items shipped by Amazon, you’ll also receive Prime shipping benefits on these Add-on items. Prime items shipped by other sellers do not apply towards the $25 minimum to purchase Add-on items. 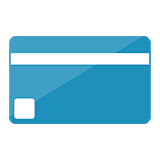 Subscribe and Save: Many Add-on items are eligible for the Subscribe and Save program. If you choose the Subscribe and Save option for these items, the $25 threshold does not apply for the auto-deliveries of the item.